Musings on project management: "..... means are authorized"
".. wherever the end is required, the means are authorized"
But, again I say: Not so fast. Every nefarious and authoritarian regime would make that argument, to wit: "it's legal because I say it's legal"; or, if the supreme authority does it, then it has to be legal. 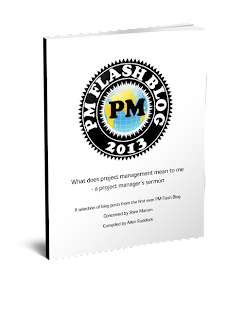 WHAT ABOUT IN PROJECT MANAGEMENT? * The Federalist papers are a set of 85 essays by multiple authors written to persuade state legislatures to approve and adopt the Federal constitution, written by a convention of States in the late 1780's.